Despite it being the summer holidays work has continued at Stratford Court mainly thanks to the wonderful Jessie and her children who have soldiered on and spread the huge pile of woodchip. They have also cut back the pesky brambles and nettles that had broken through the first layer. See the photos for how it looks now. We are expecting another delivery of woodchip in the next week or so. We plan to use some of this to create paths through the fruit trees that we planted in the spring. 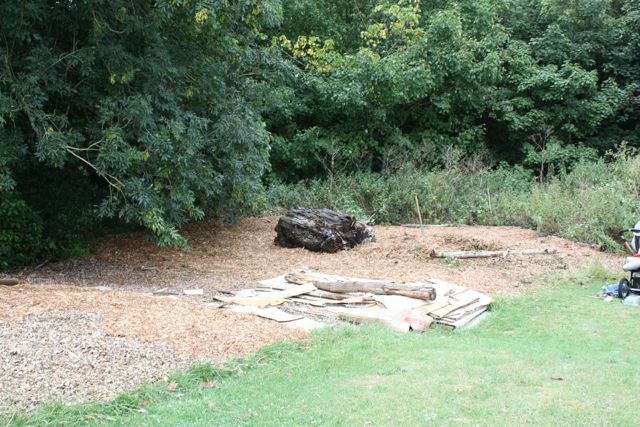 Stroud District Council have also given Edible Stroud an area in Stratford park where we can plant some trees. We will be planning and raising money for this in the next couple of months ready to begin planting in the winter. 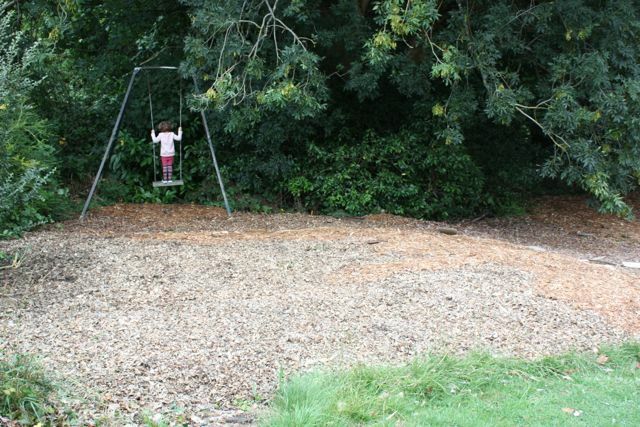 Woodchip down and a swing up! This entry was posted in Edible Stroud, Stratford Court and tagged edible stroud, stratford court on August 24, 2015 by Josie Cowgill.